Carlow District Credit Union Ltd. is a co-operative based financial institution, owned by our 26,000 members who save and borrow with us. Established in March 1963, we have grown from strength to strength over the years, moving from CYMS Hall in College Street to Presentation School in Tullow Street (now Carlow Library) and then to Burrin Street before settling in our present location, Credit Union House, Askea, in 2004. Our operating principles are founded on our core values of cooperation, equality and mutual self-help. We exist for people, not for profit. 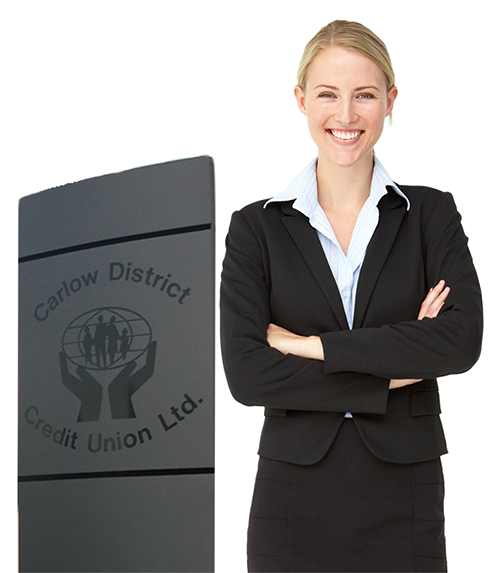 The geographic area in which we operate is called our ‘Common Bond’ which was further expanded in 2015 with the transfer of Ballon and Rathoe Credit Union into Carlow District Credit Union Ltd., allowing us to offer our services to a wider area. In June 2017 Rathvilly and Mayo/Doonane Credit Unions merged into Carlow Credit Union. The services we offer are managed by our Board of Directors and volunteers, our experienced management team and staff, all of whom are dedicated to improving the financial well-being of our increasing membership. We provide a safe place for members’ savings (shares) and deposits and offer a full suite of loans at very affordable rates which can be tailor-made to suit the individual circumstances of different members. The thing which makes us different is the close relationship we enjoy with the community in which we’re based and of which we’re a part. It is this closeness with our members that keeps us connected, that makes us who we are. Another unique feature is the insurance cover we provide on loans and shares, at no direct cost to our members. This gives our members the ability to borrow with the peace of mind that if they die, their dependents won’t be left asked to pay the balance. Everything we do is in the best interests of those who save and borrow with us. We have been part of the local community for over 50 years now. We are owned by our members, for the benefit of our members. We’re here to help them at every stage of their lives.